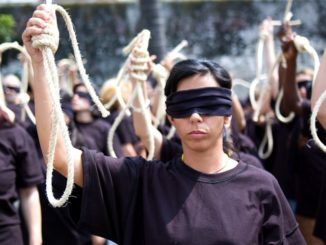 The appalling human rights situation in Iran continues because the officials responsible for gross human rights abuses have never been held accountable despite the fact that the regime’s human rights record has been condemned at the United Nations General Assembly every year since 1980. 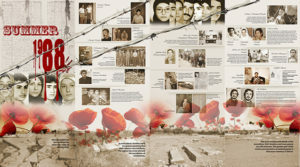 In 1988, more than 30,000 political prisoners were massacred in a matter of a few months following a written decree by Iran’s then Supreme Leader, Ayatollah Ruhollah Khomeini. A “Death Committee” whose members were appointed by Khomeini oversaw and approved all the death sentences after trials that lasted only a few minutes. The perpetrators of this heinous crime still hold key positions in the current government, including ministers, and enjoy impunity. Most victims were buried in secret mass graves in Tehran and other cities across Iran and their families are still waiting for an answer and searching for the grave of their loved ones. Although many of these mass graves have been found ever since, the mullahs are systematically destroying the evidence of 1988 massacre to cover up their crimes and evade the consequences. Indeed, the mullahs effort to destroy the mass graves of the 1988 massacre victims is tantamount to an admission of guilt. 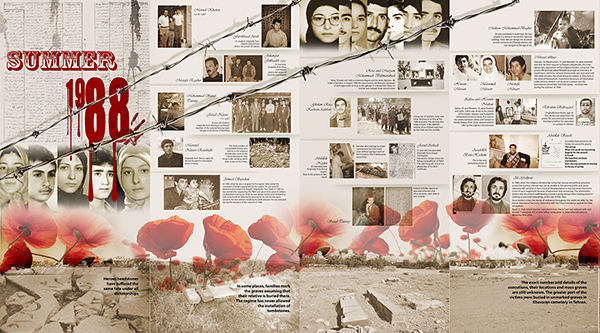 * More than 30,000 political prisoners were massacred in the summer of 1988 in Iran. * The executions were carried out on the basis of a fatwa by Iran’s then Supreme Leader, Ayatollah Khomeini. * Three-member commissions known as the “Death Commission” were formed across Iran to oversee and approve the death sentence of the political prisoners who refused to abandon their beliefs. * The victims were buried in secret mass graves. * The perpetrators continue to enjoy impunity. * Since 2016, the names of nearly 100 members of “Death Commissions” have been revealed. Many still hold senior positions in the Iranian judiciary or government. They include both the current and former Justice Ministers in Rouhani’s administration. Iran’s Supreme Leader Ayatollah Ruhollah Khomeini issued a fatwa in July 1988 ordering the execution of imprisoned opponents, including those who had already been tried and were serving their prison terms. This was the beginning of what turned out to be the biggest massacre of political prisoners since World War II. Following the decree, some 30,000 political prisoners were extra-judicially executed within several months. Khomeini’s decree called for the execution of all political prisoners affiliated to the main opposition group People’s Mojahedin Organisation of Iran (PMOI or MEK) who remained loyal to the organisation. 1. Does the decree apply to those who have been in prison, who have already been tried and sentenced to death, but have not changed their stance and the verdict has not yet been carried out, or are those who have not yet been tried also condemned to death? 2. 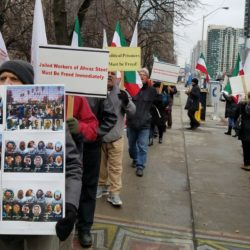 Those Monafeqin [PMOI] prisoners who have received limited jail terms, and who have already served part of their terms, but continue to hold fast to their stance in support of the Monafeqin [PMOI], are they also condemned to death? 3. 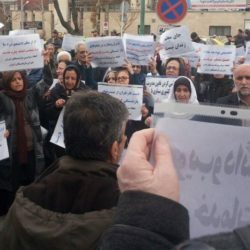 In reviewing the status of the Monafeqin [PMOI] prisoners, is it necessary to refer the cases of Monafeqin [PMOI] prisoners in counties that have an independent judicial organ to the provincial centre, or can the county’s judicial authorities act autonomously? 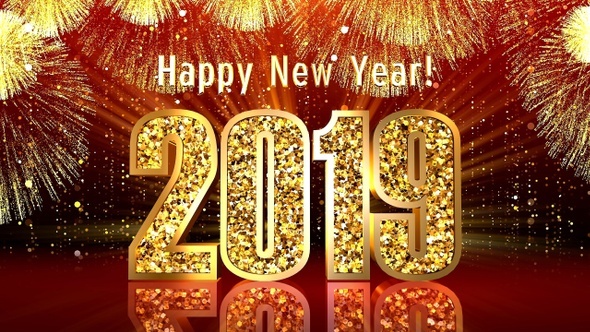 Khomeini thus unequivocally and brutally demands that the annihilation of the PMOI and all their supporters and relatives be carried out as soon as possible. In his decree, Khomeini, ordered the formation of three-member panels, known as “Death Commissions” throughout the country to implement his order of executing all political prisoners remaining loyal to their belief and political affiliation. 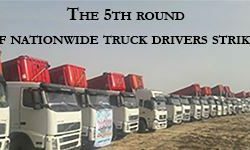 It was not limited to Tehran or provincial capitals; every county with a judicial system implemented the decree. Thus, a systematic murder machine began operating all over the country with unprecedented speed. It took only a few minutes for the Death Commissions to determine each case brought before them. The procedures were very simple. 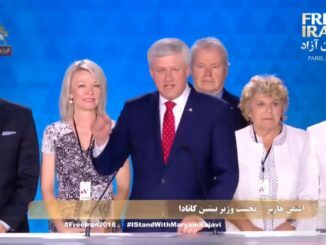 They would call the prisoners one by one and ask them if they still supported the PMOI; if the answer was yes, they would be executed. 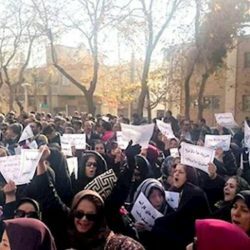 Even if the prisoners avoided expressing support for the PMOI, they had to pass other tests such as agreeing to make a ‘confession’ on television against the PMOI? 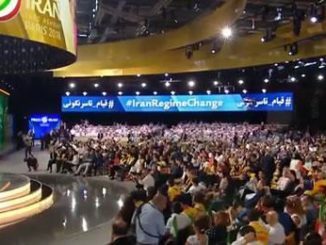 Then they would be asked if they would cooperate with the regime against other prisoners who remained loyal to the PMOI? A negative response in any of these cases could automatically lead to the prisoner receiving an execution sentence. 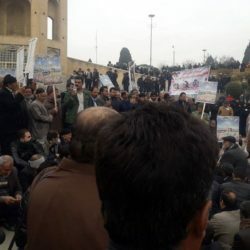 Some weeks after the start of the massacre of PMOI affiliates, political prisoners affiliated with other groups who refused to cooperate with teh regime were also executed. Most of the victims were political prisoners serving their sentences; many had completed their sentences but were kept in prison and there were no new charges or even allegation against them. 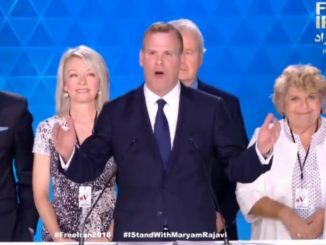 Others, who had previously been jailed and later freed, were rearrested without charge and summarily executed over their continued support for the PMOI. The corpses were not handed over to their families. Indeed, many families did not know what had happened to their loved ones. The regime feared protests when families were eventually informed about the death of their loved ones. 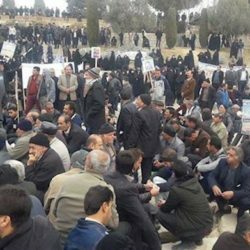 Therefore, in order to prevent such protests, the regime laid conditions for informing families of the burial site of their loved ones. Among the conditions were that the family must not hold a ceremony or put up their loved ones photos in their home; nor must they hold any sort of public protest. In the end, however, the families were never informed of their loved ones’ place of burial. The executed prisoners were buried in various unknown mass graves. Some of the mass graves have been discovered over the years. Hossein-Ali Montazeri was Khomeini’s designated successor at the time of the massacre in 1988. However, he wrote a series of letters to Khomeini opposing the executions. He told Khomeini that the PMOI was “an idea” and “a logic” which would be strengthened by these killings. “If you insist on your decree … spare the women with children.” Khomeini not only ignored his recommendations, but became extremely enraged and ousted Montazeri, who subsequently was put under house arrest until his death in 2009. On 9 August 2016, twenty-eight years after the carnage, an audio recording of Montazeri’s meeting on 15 August 1988 with top officials responsible for the massacre was published online by his son Ahmad Montazeri. 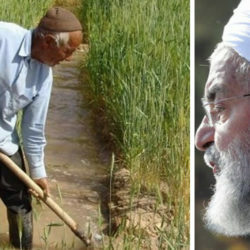 In the audio file Montazeri could be heard addressing the “Death Commission” of Tehran consisting of four people: Mostafa Pourmohammadi, representative of the Ministry of Intelligence (MOIS) in the Commission; Hossein Ali Nayyeri, the sharia judge; Morteza Eshraghi, the public prosecutor; and Ebrahim Ra’isi, the deputy prosecutor, who collectively decided on the executions in the Iranian capital. 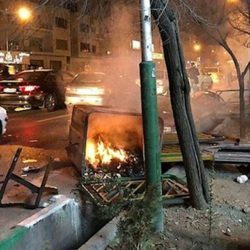 Since the summer of 2016, Iranian civil society has defied the government by breaking the taboo on openly discussing the massacre and demanding justice. 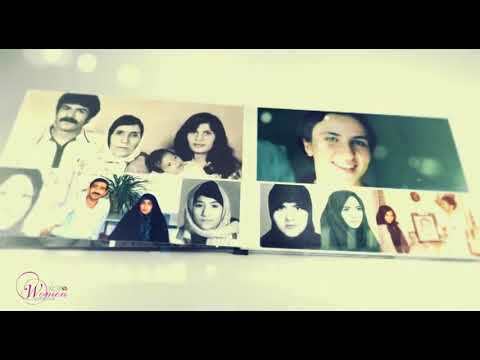 In a report published on 2 August 2017, Amnesty International pointed to a campaign by Iran’s younger generation who seek an inquiry into the mass killings of political prisoners in 1988. Dr. Mohammad Maleki, the first chancellor of Tehran University after the 1979 revolution and a prominent dissident in Iran, who spent many years in prison under torture, pointed out in an interview with Dorr TV on 14 August 2016 that more than 30,400 of the executed prisoners were members of the opposition People’s Mojahedin (PMOI or MEK) and 2000-3000 were leftists. Reza Malek, a former intelligence officer, revealed that according to documents he had personally seen, 33,700 prisoners were executed in 1988. The Iranian people used the campaign period prior to the undemocratic ‘election’ to highlight the call for justice. 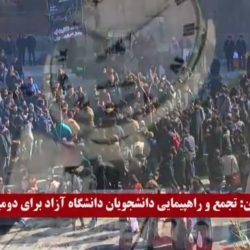 In Qom in May 2017, Iranians chanted against Presidential candidate Raisi: “He is the murderer of 1988“. 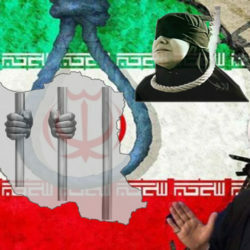 Iranian political prisoner Maryam Akbari-Monfared on 15 October 2016 made an official complaint from inside prison to the Iranian judiciary over the execution of her siblings in the 1988 massacre. According to Amnesty International she was subsequently put under further pressure in prison. 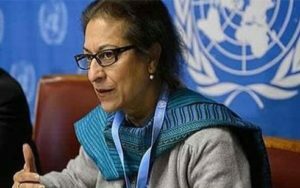 Asma Jahangir’s report (A/72/322) was transmitted to the UN General Assembly by Secretary-General António Guterres on 14 August 2017. 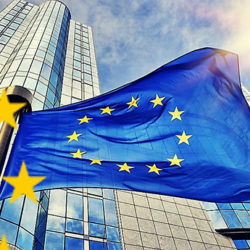 The full text of the report is available Here. “11. (…) The Guardian Council, a body of six clerics appointed by the Supreme Leader that oversees the electoral process and vets the candidates, announced that the candidatures of only six men (0.37 per cent of the applicants) had been approved. Among them was Ebrahim Raisi, who reportedly had served on a committee that had ordered the extrajudicial executions of thousands of political prisoners in 1988. “73. Between July and August 1988, thousands of political prisoners, men, women and teen-agers, were reportedly executed pursuant to a fatwa issued by the then Supreme Leader, Ayatollah Khomeini. A three-man commission was reportedly created with a view to determining who should be executed. The bodies of the victims were reportedly buried in unmarked graves and their families never informed of their whereabouts. These events, known as the 1988 massacres, have never been officially acknowledged. 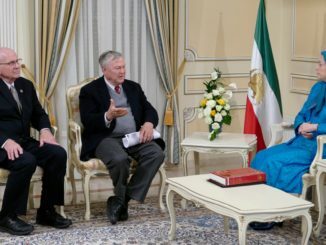 In January 1989, the Special Representative of the Commission on Human Rights on the situation of human rights in the Islamic Republic of Iran, Reynaldo Galindo Pohl, expressed concern over the “global denial” of the executions and called on Iranian authorities to conduct an investigation. Such an investigation has yet to be undertaken. 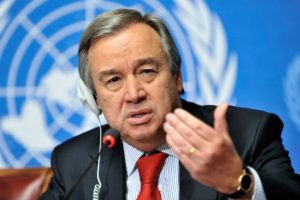 The United Nations Secretary General António Guterres has in a new report highlighted the ongoing calls for truth and justice over the 1988 massacre of political prisoners in Iran. 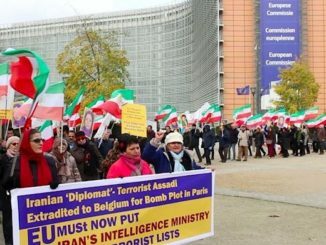 The public attention to this subject has forced the Iranian government to engage in massive propaganda to defend the massacre by misrepresenting the facts and blaming the victims. Ayatollah Ahmad Khatami, a board member of Iran’s Assembly of Experts and Tehran’s acting Friday prayer leader, in a sermon on 21 July 2017 cried out against the calls for justice. 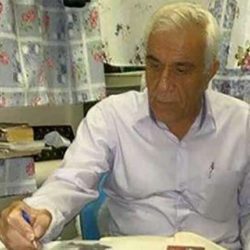 Mostafa Pour-Mohammadi, a member of the “Death Commission” in Tehran and Iran’s Justice Minister until August 2017 was quoted on 28 August 2016, by the state-run Tasnim news agency as saying: “God commanded show no mercy to the nonbelievers because they will not show mercy to you either and there should be no mercy to the [PMOI] because if they could they would spill your blood, which they did. 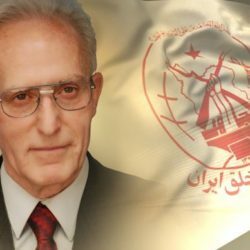 In an interview with the state-affiliated Tarikh Online website, aired on 9 July 2017, Ali Fallahian, Iran’s former Intelligence Minister, acknowledged that Khomeini’s 1988 fatwa called for the eradication of all affiliates of the PMOI. 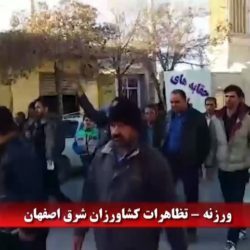 Fallahian said that even PMOI supporters whose only crime was to distribute the group’s literature or buy bread or other provisions for them were found guilty of waging war on God and executed. 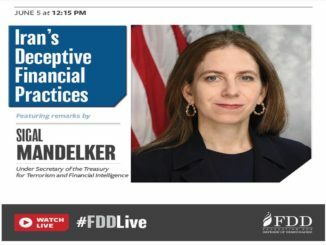 Fallahian has three international warrants for his arrest; two by German and Swiss magistrates over his role in the assassination of Iranian dissidents abroad, and an Interpol Red Notice over his role in the terrorist bombing of a Jewish community centre in Buenos Aires in 1994. Ebrahim Raisi’s campaign in the weeks leading to the May election continuously sent out messages via the social network Telegram defending the 1988 massacre through misrepresentation of the facts. Articles seeking to justify the massacre have been published across state media, including online publications, and Intelligence Ministry outlets. 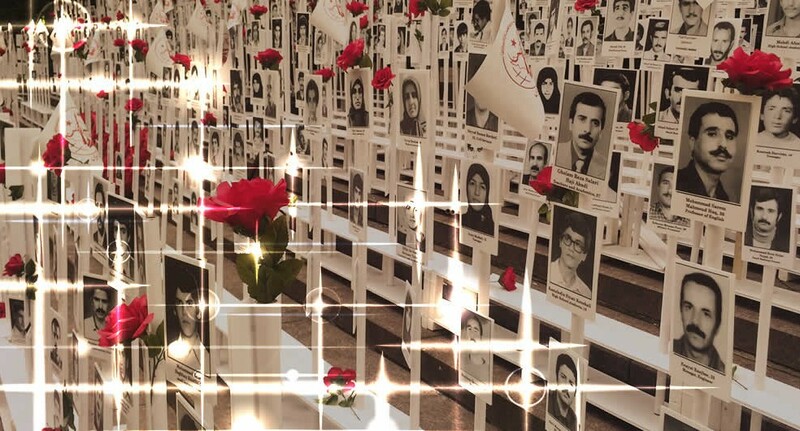 Since 2016, the 1988 massacre has gradually turned into a growing demand by the victims’ families and the Iranian people for transparency and prosecution of those involved. 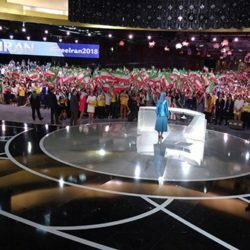 This has already been a major development both from a human rights perspective and from a purely political perspective, indicating that even after 30 years, the massacre remains a benchmark for the Iranian people to judge different factions of the ruling system. 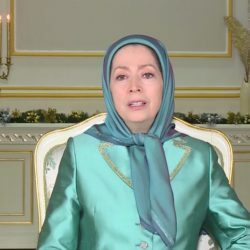 Many describe the issue of the massacre as the collective conscience of the Iranian people, which cannot be set aside until the perpetrators are brought to justice. International organizations defending human rights should deploy their good offices to investigate the above issues also detailed in this article. More information including Reports and Publication on 1988 Massacre is provided Here & Here.